Hulk Hogan has one of the most baffling careers in movie history. I’m a little surprised that he only has two appearances in the IMDb Bottom 100 to be honest. One of those select features is the vapid children’s flick “3 Ninjas: High Noon at Mega Mountain”. 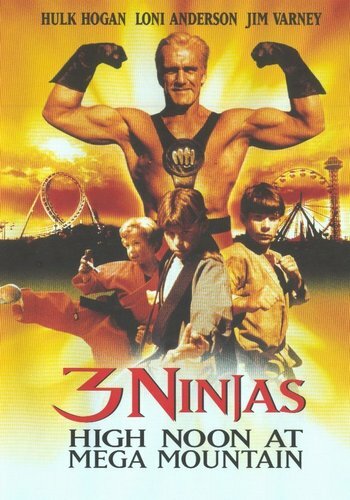 For those that don’t recall, “3 Ninjas” was a franchise of children’s martial arts movies in the 1990’s. All of the movies featured atrocious child acting, boring plots, and abysmal fight choreography. Of course, that’s all mostly what you should expect from a 90’s children’s movie franchise. We had the Power Rangers movies around this same time too, after all. 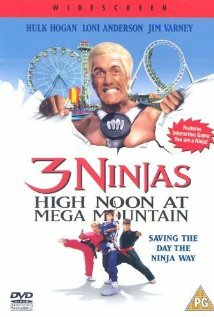 “High Noon at Mega Mountain”, the fourth in the “3 Ninjas” series, managed to make a particular name for itself by both featuring Hulk Hogan and for having exceptionally low quality, even for a children’s franchise. It is hard to be excessively harsh towards a children’s movie, given the bar is already set pretty low. However, “High Noon at Mega Mountain” makes some errors that just aren’t forgivable. Primarily, it appears that the filmmakers failed to reserve the “Mega Mountain” (actually Denver, CO’s Elitch Gardens) amusement park for filming, as there are are people in the background casually enjoying themselves during what is supposed to be a terrorist hostage situation. That is indicative of the laziness going on behind the scenes of this movie, and what makes it stand out in the franchise. The bad fight choreography, acting, and writing all seems pretty much par for the course for this sort of movie, so it is hardly worth a mention. Appropriately, the writer/director of this flick has been put in charge of the upcoming straight-to-video “Baby Geniuses” sequels. Honestly, I was having flashbacks to “Baby Geniuses 2” repeatedly throughout this movie, particularly during the fight sequences. Admittedly, that movie is far worse than this one, but they are comparably lack-luster in many ways. I don’t think it is unreasonable to assume from that image that Hulk Hogan is going to be an antagonist to a trio of children in this movie. That would mean that Hulk Hogan is likely to fight and be defeated by young children at some point in the film. That, to me, sounds hilariously awesome. However, that cover is quite deceiving. In the movie, Hulk Hogan is the star of a failing television show along the lines of “Power Rangers”. His presence is essentially the excuse for why the ninja children show up at the park, and has nothing to do with the overarching plot as a whole. He tries to contribute as a good guy, but is typically thwarted by the actual villain of the movie played by Loni Anderson (weird casting there). She actually does a pretty hammy job as the villain, but when you are expecting a massive, grunting bad guy Hulkster; anything else is going to be disappointing. Jim Verney (of the Ernest franchise) does his damnedest as the B-villain though, and his over-the-top performance is one of the most watchable things in the movie. Another specifically abysmal aspect of the movie is the shoehorning in of computer magic. There is a character introduced who primarily exists to hack things with her laptop, which is apparently capable of absolutely anything. All of the computer effects are CG’d, and look absolutely horrendous. I thought for a moment that I had started watching “.com For Murder” again they were so bad. “High Noon at Mega Mountain” is right on the edge of falling out of the IMDb Bottom 100 at the moment, and I’m not really surprised by that. The bar is set really low for children’s movies as is, which doesn’t do it any favors in this forum. While this flick does manage to limbo below par for kids movies of the time, the other movies in the Bottom 100 of this genre blow it out of the water. Both “Baby Geniuses” movies and both animated “Titanic” films (more on that soon) are on an entirely different level than “High Noon at Mega Mountain”, for instance. There isn’t any reason to recommend this movie, it is generally just a pretty boring watch. 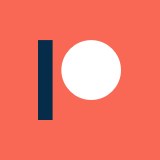 The few upsides are far outweighed by the boring, cliched plot and dialogue. There might be a decent YouTube compilation of ridiculous moments that would be worth a few minutes of your time, but I wouldn’t advise sitting through the entire movie.